Whole Foods Prepared Food... Is It Soy-Free? 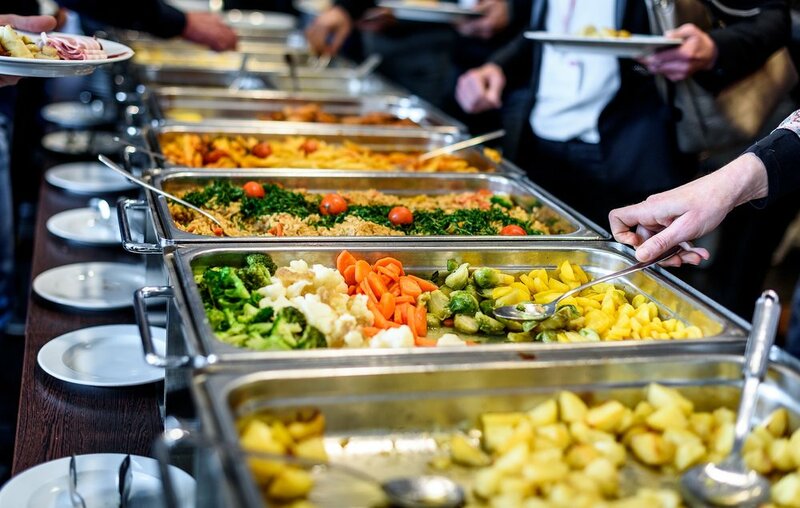 Buffets can be very interesting places when eating with a food intolerance. On one hand, they have lots of different foods available and the improved selection makes it a bit easier to find a soy-free option. However, it can usually be difficult to determine the exact ingredients of each dish, as labeling tends to be poor and the huge quantity of food presented makes it more likely that the food offered will be pre-prepared. We recently decided to try the Prepared Foods section at Whole Foods. We know Whole Foods for their quality ingredients and numerous soy-free options and we wanted to investigate how easy it is to eat a meal there. After having lunch at Whole Foods, we are very happy with their offering. There were lots of soy-free options and they were so easy to find! Unlike most prepared food situations, Whole Foods makes it very simple to identify ingredients. Each item has a comprehensive list of ingredients that not only identifies what the item is and the major allergens it contains, but also lists out all of the ingredients of each item. This is huge for us, because it allows us to determine if soybean oil is used, since soybean oil doesn’t need to be listed as an allergen. It was so easy to walk through the section and read the ingredient labels when searching for food. Instead of thinking through common recipes and replacement options, we could just read the ingredients to determine if that specific food was soy-free. We also found that Whole Foods offerings were more likely to use canola oil or olive oil instead of soybean oil. This is great news! By using canola oil, Whole Foods provides more soy-free options and even had some fried food that was soy-free! This was a refreshing find as many of these types of places use soybean oil because of its reduced cost compared to other oils. Ashley and I were easily able to find a full, delicious lunch in the Whole Foods prepared section. It was simple to identify soy-free foods and many of the foods available were soy-free. We would highly recommend stopping in to enjoy an allergen-friendly meal!